An ankle sprain occurs when the ligaments in the ankle are stretched or torn, and most commonly occurs on the outside of the ankle. This occurs when the foot rolls inward, placing excessive stress on the ligaments and can occur during a fall, landing awkwardly after jumping, or running or walking on an uneven surface. Within the first 48-72 hours, it is important to utilize the RICE principle (Rest, Ice, Compression, Elevation) to minimize inflammation, pain, and swelling. 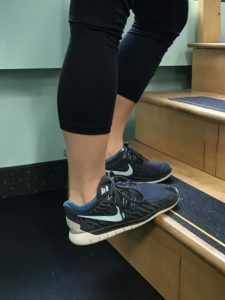 Range of motion exercises in all directions and stretching of the calf muscle will help to minimize loss of mobility and stiffness in the ankle joint. Ankle strengthening exercises will increase the stability of the ankle to allow full return to all activities with decreased risk of re-injury. Proprioception allows you to sense where your body parts are in space and in relation to the rest of your body. This is accomplished through sensory receptors called proprioceptors located in the muscles, tendons, and joints. Using proprioceptive and balance exercises helps to train this sense, thereby increasing ankle stability. These exercises are an important component to any ankle sprain treatment program. A physical therapist will devise the most appropriate treatment and exercise plan for your specific injury, progressing you to a point where you are able to return to all functional and sport-related activities. If you suspect an ankle sprain, the physical therapists at Harbor Physical Therapy can evaluate you to determine the degree of injury. Based on the severity, we may refer you to a medical doctor if a more serious injury such as a fracture or complete ligament or muscle tear is suspected. Muscle strain is the most common injury. There are different degrees of muscle strains from a minor overstretching injury to a muscle tear. To avoid muscle strains, make sure you perform a warm up and a cool down. It is important to listen to your body. If something hurts, stop and stretch. Tendinitis is caused by a repetitive strain to the tendon of the muscle. If you overwork a muscle, you can develop tendonitis. Bursitis is inflammation to the bursa. A Bursa is a fluid filled sac that provides decrease friction and helps to give a fluid movement to the joint. Avoid doing the same exercises all the time; change it up to avoid overuse of one particular area. Back pain is one of the most common areas injured at the gym because the back is at the center of the body for all movement and exercise. To avoid injury, bend with your knees and tighten your abdominal muscles during exercises. Shoulder impingement injuries occur due to lack of rotator cuff strength and or overuse of the rotator cuff muscles. 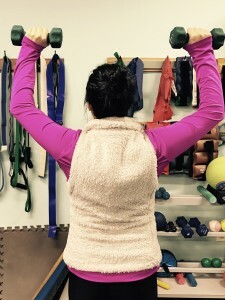 To avoid injury, limit overhead weighted exercises and make sure to work on shoulder stability before increases the weight with strengthening exercises. Harbor Physical Therapy can evaluate your gym injury and determine the most optimal course of treatment to get you back to the gym as quick as possible. 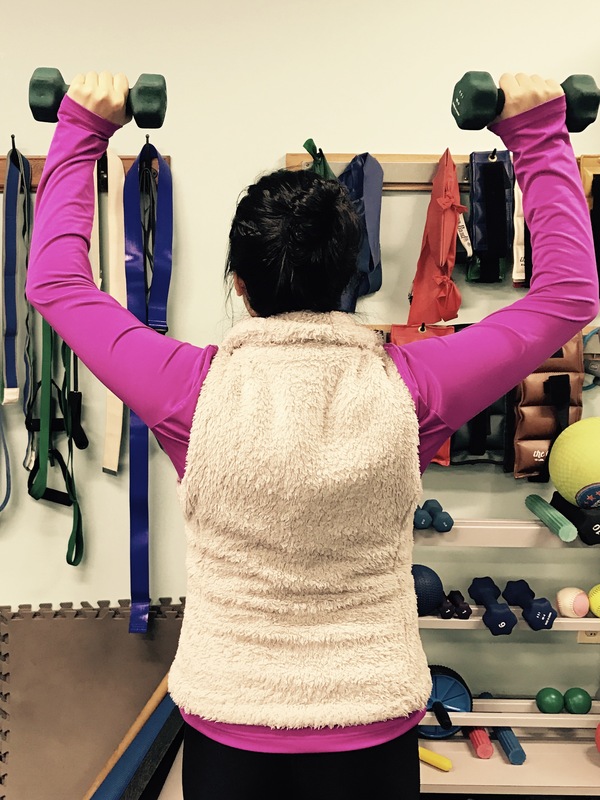 Our physical therapists will review your gym routine, educate you on proper body mechanics, and exercise routine to reach your fitness goals without injury. Cluster and migraine headaches generally are due to a problem with the blood vessels while tension headaches are typically due to poor posture. Tension headaches usually cause a dull pain in the head, neck, temples, scalp or shoulders. Forward head posture is a leading cause of neck pain, headaches, and shoulder pain. For every inch your head is located more forward from sitting right on top of your shoulders, the perceived weight of your head increases by 10 pounds. Set-up your work station to decrease strain on your neck. The top 1/3 of the screen should be even with your eyes. Elbows should rest comfortably by your sides. Hips should be slightly higher than your knees with your feet flat on the floor. Use a supportive neck pillow for sleeping. Perform neck stretches throughout the day. Perform postural strengthening exercises throughout the day. If these steps do not improve your posture, schedule an appointment at Harbor Physical Therapy to address tight musculature and receive a catered exercise program based upon your presentation.